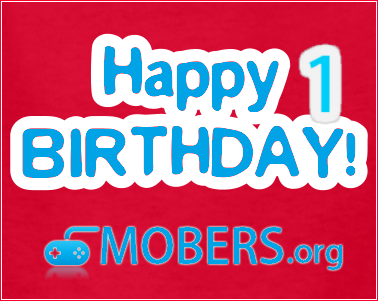 1/1/11 - 2/1/11 — Mobers.ORG — Your Daily Source For Mobile FUN! Stylish Dash is the action game with stick man while traveling the world. You can do the running, rolling, flying and breaking obstacles. Enjoy the Stylish Actions, It has just simple controls. It has various challenging games (mini games) within the game. -Easy controls & Stylish action. -Amazing graphics & Smooth animation. -Easy to enjoy but hard to master. -Many different quest in stage. -Challenge Game Dodge 01, Challenge Game Dodge 02. Welcome to the official website of Mobile Poker Club. We are all connected by our love to poker and desire to play regardless of where we are. That's why we created a comfortable, fast and free mobile poker game for cell phones. Now we can get together at the table, wherever any of club members is. While creating the game, we concentrated on mobile gaming peculiarities, that's why we can proudly say that we created the first really Mobile poker club. Join us! To play in Mobile Poker Club you have to have a third option installed (Internet GPRS). Also, please note, that different carriers have different Internet access policies (restrictions on access to some sites, restrictions on packages and fares). Basically Internet GPRS can be set-up on any package and fare is based on the amount of Kilobytes you download/upload to Internet using this connection. Having this in our mind we did our best to minimize your expenses for using such connection. To get detailed information and to activate your package, please get in touch with your carrier's support service or write us back using our support form. 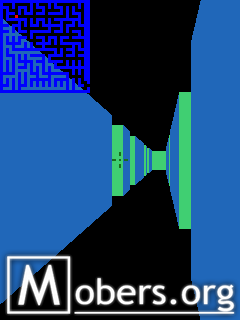 The goal of the game is to escape from the labirynth. Each time you start the game a new labirynth is generated. Във филма "Туристът" Франк (Джони Деп) е американски турист, който посещава Италия, за да лекува разбитото си сърце. Елиза (Анджелина Джоли) е необикновена жена, която умишлено пресича пътя му, за свои собствени цели. На фона на главозамайващата Венеция, Франк се впуска в преследване на един романс, но скоро се оказва, че той самият е преследвания, след като двамата с Елиза са заклещени във водовъртеж от интриги и опасности. Филмът проследява поредица от манипулации, като героите с времето разбират, че са само малки пионки, управлявани от невидим конспиратор. 5 години след епохалният си дебют, спечелил "Оскар" („Животът на другите”), режисьорът Флориан Хенкел фон Донерсмарк събира впечатляващ актьорски състав и се завръща с „Туристът”, римейк на френския трилър „Антъни Цимър”. Welcome to Crazy Balls,a fantanstic and addictive puzzle game for your mobile.Move your ball around the level and try to stick all of the balls together in order to progress.for better positioning you can rotate balls stuck to you clockwise but only if you have the room to do so.Crazy Balls takes seconds to lenrn but hours to master...and remember,don't get stuck! Science and technology have created terrible weapons of war that are causing fierce damage to the earth. Ultra Phoenix uses natural forces as weapons and promises to restore the earth's environment. Roy, Leo and Emma are the pilots of the fighter ships that all possess different fire power and bombs: Fire Phoenix, Blade and Mercury. Your goal is to destroy the three main enemy ships hidden in various locations around the world. ALSO CHECK OUT "ELEMENT 1"
Renowned treasure seeker, a miner Marvin, went in search of gold in the ancient Inca city, lost in the jungle. Indian ruins were bewitched, and now our hero will make a great effort and pretty poskripet brains to get out! 46 levels of the puzzle for a long time will carry away you move the stone pillars at the right places and be wary of popping out of the ground stakes! Three years have passed since the destruction of the Marker in the first Dead Space story. Now, experience first-hand the events that unleash the Necromorph hordes once again. You’ll find yourself on a mission of uncertain purpose in the Mines of Titan. Soon, however, the truth of your situation will become grotesquely clear… Featuring a fully voice-acted stereo soundtrack, plus a movie-quality score and sound effects, we recommend experiencing the game with headphones for full immersion. Hear every footstep in the empty passages and feel the tension build as you are pulled deeper into danger. With cutting-edge visuals, rich in effects and atmospheric lighting, Dead Space reproduces the cinematic horror of the console experience and sets a new benchmark for graphical fidelity on the iOS platform.Intuitive controls have been conceived to maximize the immersive experience of the game on iPhone & iPod touch. The on-screen HUD is seamlessly integrated into the game environment. Navigate 6 varied environments and battle Necromorphs with simple swipe and tap controls that offer accessibility without sacrificing depth. Nothing will break the spell of the story’s adrenaline-driven suspense. Access the ALL-NEW Plasma Saw and Core Extractor, plus 3 more weapons from the Dead Space universe – and get on with the business of strategic dismemberment. In addition, utilize true physics-based Kinesis and Stasis Modules well-known to players of the original Dead Space console game. A notorious Sumo, Hagimo Moto & his men are believed to have carried out a series of crime in the city. He and his men have managed to steal 9 precious stones from the city's museum which is believed to be one of the rare collections that belonged to an emperor of ancient roman empire. These 9 stones are pride of the city museum & the roman nation. Your task is to fight the Sumo and his men to get all the 9 precious stones back. 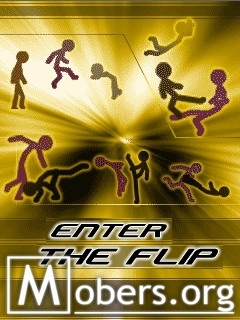 The game consists of an action mode and a flip mode at every level. After crossing the action mode, enter the flip mode to find the key. Behind 9 different doors in flip mode lies a precious stone hidden by the Sumo. Find the keys to unlock these doors to get all the 9 precious stones and help the nation regain its pride. Good luck!!! We want to thank all mobers around the world - all users! Thanks for being so supportive last one year! Puzzle 2 - the next evolution of award winning Sky Box - is a fun and interactive game that will train your wits, logic and strategic skills! Play tons of addictive puzzles, as each level gets even more trickier. You can also test your skills by choosing the Random Play of levels. Can you place the Master Blox on the end Yellow Tile?